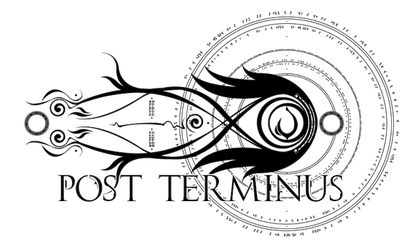 Post Terminus is an RPG focused around writing prose, set in an original world that's ever-expanding with the contributions of its members. Post Terminus is a blend of classic fantasy and sci-fi technology, taking place in a setting that's on the mend from a near-apocalypse five hundred years earlier. New writers and roleplayers are always welcome! Gradually, he woke up; for some reason he was upside-down... and had a hunger for pancakes. The young man blinked, trying to dispel his drowsiness and the pounding in his head to figure out what was going on. At length, Caradin realized he was in his own apartment. His arms were tied behind his back and his legs were tied at the knees and ankles. Thankfully, he wasn't hanging: his shoulders were against the floor, but a rope was tied from his ankles to a sconce on the wall, preventing him from righting himself. The room was no more trashed than normal, with his meager belongings scattered haphazardly around the temporary domicile. One special plant sat in the center of the room, and the bound youth let out a sigh of relief that the leafy purple fern was untouched. The sight of it made his arm start throbbing, though, in tune with the pounding in his head. Accompanied by the endless cries of seagulls, a small passenger ship cut through the waves. The appearance of so many of the birds was a welcome sign that they were nearing their destination. The Whale's Iris had been at sea for over a week now, with a strong wind at their backs and a skilled captain at the helm. They had made excellent time, but the wait was still interminable. The sturdy schooner, with two triangular main sails, had originally been built to be a fishing vessel. After a few years in that role, the captain realized there was greater profit to be made ferrying passengers across the dangerous Sea of Occidens. It was too dangerous to travel below the surface, and so a speedy ship was ideal for travelers.